Definitive's Disappearing In-Wall series speakers feature near-invisibility thanks to their small diameters, hidden flange design, and low profile micro-perf grilles. They are as easy to install as traditional flanged flush-mount speakers, and don't require custom sheetrock/spackle skills to install yet they are practically invisible. The DI 3.5R is a mere 4-9/16" (11.6 cm) in diameter, about the same size as the mini recessed lighting fixtures that are all the rage in lighting design today. Definitive's Disappearing In-Wall series speakers feature near-invisibility thanks to their small diameters, hidden flange design, and low profile micro-perf grilles. They are as easy to install as traditional flanged flush-mount speakers, and don't require custom sheetrock/spackle skills to install yet they are practically invisible. The DI 4.5R is a mere 5-3/8" (13.55 cm) in diameter, about the same size as the mini recessed lighting fixtures that are all the rage in lighting design today. Many listeners have found that built-in speakers are the perfect solution for side and/or rear channel surround speakers. They take up no floor space and virtually disappear from view. We specifically designed the DI 5.5BPS for surround channel duties. You can install them in walls or ceilings for enveloping surround effects with smooth natural response and precise detail retrieval. The LCR 5.5LCR has been optimized for use as stereo Left/Right/Center front stage speakers while the matching DI 5.5BPS is a Bipolar technology speaker ideal for surround channel use. Together these models realize the dream of premium performance in a practically undetectable built-in home theater system. All models in the DI Series share the same accurate sonic signature so you can mix and match any combination of models to meet your exact application. Definitive's Disappearing In-Wall series speakers feature near-invisibility thanks to their small diameters, hidden flange design, and low profile micro-perf grilles. They are as easy to install as traditional flanged flush-mount speakers, and don't require custom sheetrock/spackle skills to install yet they are practically invisible. The DI 5.5R grille is a mere 7-3/8" (18.62cm)in diameter, about the same visible size as competitive nominal 4-1/2" in-ceiling speakers. With Definitive's DI Series you get more sound per square inch of visible speaker. They are as easy to install as traditional flanged flush-mount speakers, and don't require custom sheetrock/spackle skills to install yet they are practically invisible. The DI 5.5S grille is a mere 7-3/8" x 7-3/8" (18.62cm x 18.62cm), about the same visible size as competitive nominal 4-1/2" in-ceiling speakers. 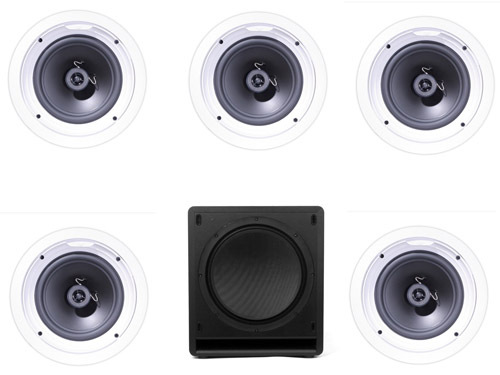 The LCR 6.5LCR has been optimized for use as stereo Left/Right/Center front stage speakers while the matching DI 5.5BPS is a Bipolar technology speaker ideal for surround channel use. Together these models realize the dream of premium performance in a practically undetectable built-in home theater system. The DI 6.5STR is a "stereo" speaker, both left and right channels are fed into a single speaker. Dual angled tweeters disperse the sound in broad area to approximate the spaciousness of two speakers. The STR is the perfect solution in spaces where you want sound but where using two speakers is not practical or economical-such as hallways, kitchens, bathrooms and offices. Definitive's Disappearing� In-Wall series speakers feature near-invisibility thanks to their small diameters, hidden flange design, and low profile micro-perf grilles. he DI 8R grille is a mere 9-3/4" (24.8 cm)in diameter,noticebaly smaller than competing 8" in-ceiling speaker. With Definitive's DI Series you get more sound per square inch of visible speaker. The IWSub 10/10 is a completely self enclosed in-wall subwoofer for use in whole house distributed music or stealth home theater installations. 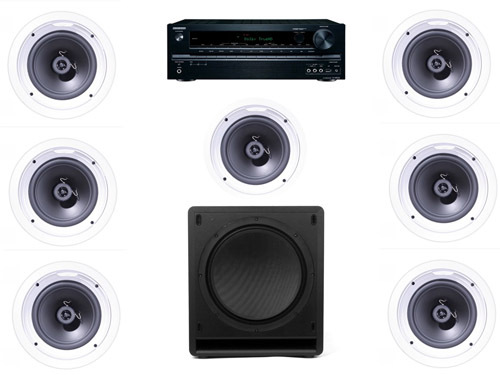 It's a deep bass powerhouse that will disappear in your room. It has a non-resonant sealed medite (a dense wood product) enclosure and a paintable bezel and grille. Inside the completely self-enclosed in-wall sub is the technical brainpower derived from Definitive's award winning SuperCube free-standing subwoofers. The IWSub Reference is a completely self enclosed in-wall subwoofer for use in whole house distributed music or stealth home theater installations. It's a deep bass powerhouse that will disappear in your room. It has a non-resonant sealed medite (a dense wood product) enclosure and a paintable bezel and grille. Inside the completely self- enclosed in-wall sub is the technical brainpower derived from Definitive's award winning SuperCube free- standing subwoofers. The IWSub 10/10 is a completely self enclosed in-wall subwoofer for use in whole house distributed music or stealth home theater installations. The IWSub Reference is a completely self enclosed in-wall subwoofer for use in whole house distributed music or stealth home theater installations. 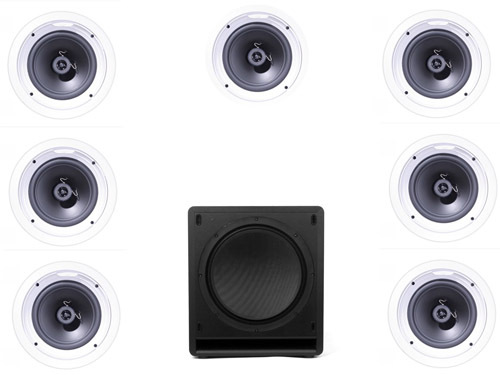 It's a deep bass powerhouse that will disappear in your room. The SubAmp 600 is a high powered amplifier and electronic crossover specifically engineered for use with the Definitive IWSub 10/10 and IWSub References in-wall subwoofers. 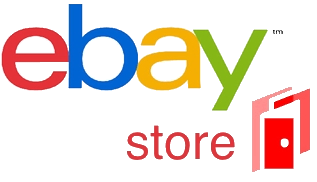 It features two discrete high power amplifiers with simple connections in one convenient housing that fits easily on a shelf or in an audio equipment rack. The SubAmp 600 is a high powered amplifier and electronic crossover specifically engineered for use with the Definitive IWSub 10/10 and IWSub References in-wall subwoofers. It features two discrete high power amplifiers with simple connections in one convenient housing that fits easily on a shelf or in an audio equipment rack. It provides optimal power for effortlessly driving one or two IWSubs, in the same room or in different zones. Definitive's UIW 55 in-wall/in-ceiling features the same 5-1/4 inch driver and 1inch pure aluminum dome tweeter as used in Definitive's award winning BP SuperTower free-standing speakers. They are perfectly blended with a complex phase-coherent Linkwitz-Riley crossover network with user selectable high frequency equalization. Definitive's UIW 63/A in-ceiling speaker features a high output 6-1/2 inch driver and 1 inch pure aluminum dome tweeter perfectly blended with a complex phase-coherent Linkwitz-Riley crossover network. The UIW 63/As are perfect for front, surround and center channel use in stealth home theater systems or for producing exceptional sounding music throughout your home. Definitive's UIW 64/A in-ceiling speaker features a high output 6-1/2 inch driver and 1 inch pure aluminum dome tweeter perfectly blended with a complex phase-coherent Linkwitz-Riley crossover network. The UIW 64/As are perfect for front, surround and center channel use in stealth home theater systems or for producing exceptional sounding music throughout your home. Definitive's UIW 65 in-wall/in-ceiling features the same 6-1/2 inch driver and 1inch pure aluminum dome tweeter as the award-winning BP7000SC flagship free-standing speaker. They are perfectly blended with a complex phase-coherent Linkwitz-Riley crossover network with user selectable equalization. Definitive's UIW 75 in-wall/in-ceiling features the same dual 6-1/2 inch drivers and 1 inch pure aluminum dome tweeter as the award-winning BP7000SC flagship system's front array. They are perfectly blended with a complex phase-coherent Linkwitz-Riley crossover network with user selectable high frequency equalization. Definitive's UIW 83/A in-ceiling speaker features a high output 8 inch driver and 1 inch pure aluminum dome tweeter perfectly blended with a complex phase-coherent Linkwitz-Riley crossover network. The UIW 83/As are perfect for front, surround and center channel use in stealth home theater systems or for producing exceptional sounding music throughout your home. Definitive�s UIW 94/A in-ceiling speaker features a high output 9 inch driver and 1 inch pure aluminum dome tweeter perfectly blended with a complex phase-coherent Linkwitz-Riley crossover network. The UIW 94/As are perfect for front, surround and center channel use in stealth home theater systems or for producing exceptional sounding music throughout your home. The Remarkable UIW BP/A is a bipolar in-wall/in-ceiling loudspeaker. It is intended for use as a main system speaker (whose bipolar pattern gives you tremendously enhanced spaciousness plus unequaled dispersion throughout your room). In addition, it is a superb rear/side surround speaker for multi-channel systems and is also perfect for producing exceptional sounding music anywhere you want it. The Reference Ceiling Speaker II (RCS II) is intended for use as an in-ceiling front main left, center or right channel speaker in custom installed home theater systems of the highest quality. In addition, it can be used as a superb left or right speaker in a high quality stereo music system. The RCS II features a non-resonant sealed medite (a dense wood product) enclosure to deliver the tight, detailed bass and uncolored midrange of audiophile free-standing speakers in every installation. The performance of open back built-in speakers will vary depending on the nature of the wall/ceiling cavity behind the speaker. The Reference Line Source II (RLS II) is an enclosed full range loudspeaker engineered for flush mount in-wall installation. It features a non-resonant sealed medite (a dense wood product) enclosure to deliver the tight, detailed bass and uncolored midrange of audiophile free-standing speakers in every installation. The performance of open back built-in speakers will vary depending on the nature of the wall/ceiling cavity behind the speaker. The Reference Line Source III (RLS III) is an enclosed full range loudspeaker engineered for flush mount in-wall installation. It features a non-resonant sealed medite (a dense wood product) enclosure to deliver the tight, detailed bass and uncolored midrange of audiophile free-standing speakers in every installation. The performance of open back built-in speakers will vary depending on the nature of the wall/ceiling cavity behind the speaker. Definitive Reference Architectural Speakers are perfect for bringing spectacular-sounding, high-performance "invisible" home theater systems into every room in your house. The Reference Surround Speaker III (RSS III) is intended for use as an in-ceiling or in-wall rear or side surround speaker in custom installed home theater systems of the highest quality. The RSS III delivers uniquely enveloping surround performance totally immersing the listeners in a complete 360-degree soundstage. The UIW 63/A CT are perfect for front, surround and center channel use in stealth home theater systems or for producing exceptional sounding music throughout your home. The UIW 83/As are perfect for front, surround and center channel use in stealth home theater systems or for producing exceptional sounding music throughout your home. Definitive's UIW 94/A in-ceiling speaker features a high output 9 inch driver and 1 inch pure aluminum dome tweeter perfectly blended with a complex phase-coherent Linkwitz-Riley crossover network. The performance of open back built-in speakers will vary depending on the nature of the wall/ceiling cavity behind the speaker. But Definitive Reference speakers with integrated enclosures sound superb every time. Six rotating dogleg clamps and beefy wood screws make the RCS II easy to install in either new or existing construction and provide secure, non-resonant mounting for ultimate audiophile performance free of vibrations and buzzes. The precisely configured dual angled baffles incorporate a uniquely effective acoustic treatment which combines a computer-optimized ribbed surface with special dampening panels in order to achieve a linear uncolored sound combined with boxless three-dimensional imaging in which acoustic events seem to effortlessly float in space. The Reference Line Source II (RLS II) is an enclosed full range loudspeaker engineered for flush mount in-wall installation. It features a non-resonant sealed medite (a dense wood product) enclosure to deliver the tight, detailed bass and uncolored midrange of audiophile free-standing speakers in every installation. The performance of open back built-in speakers will vary depending on the nature of the wall/ceiling cavity behind the speaker. But Definitive Reference speakers with integrated enclosures sound superb every time. The performance of open back built-in speakers will vary depending on the nature of the wall/ceiling cavity behind the speaker. But Definitive Reference series speakers with integrated enclosures sound superb every time. Six rotating dogleg clamps and beefy wood screws make the RSS II easy to install in either new or existing construction and provide secure, non-resonant mounting for ultimate audiophile performance free of vibrations and buzzes. Definitive Reference Architectural Speakers are perfect for bringing spectacular-sounding, high-performance "invisible" home theater systems into every room in your house. 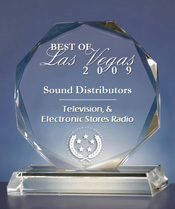 The Reference Surround Speaker III (RSS III) is intended for use as an in-ceiling or in-wall rear or side surround speaker in custom installed home theater systems of the highest quality.